She promised fans she will "be back happier and healthier" after her time off. A prolific and popular YouTuber, Ms Singh has over 14 million subscribers on her channels and is among the platform's highest earning stars. "I am mentally, physically, emotionally and spiritually exhausted," she said in a video posted on Monday night. Ms Singh said she is not "particularly proud" with some of recent content and needs time to reflect the kinds of videos she wants to create. 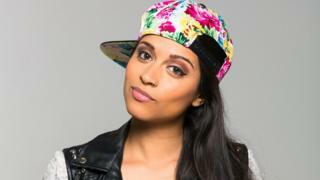 "The thing about YouTube is, in all of its glory, it kind of is a machine and it makes creators believe that we have to pump out content consistently even at the cost of our health and our life and our mental happiness," she said. "I'm not making any rules. This might be a one week break, this might be a one month break - I have no idea," she said. One of the world's most popular YouTubers, in May he decided to take time off, saying he felt he was headed for a breakdown.